This Sept. 16, 2018, file photo shows Los Angeles Rams cheerleaders Quinton Peron, left, and Napoleon Jinnies, right during the game against the Arizona Cardinals at Los Angeles Memorial Coliseum. They were among the first male cheerleaders in the NFL and will be the first to perform during the Super Bowl. The Super Bowl is always a big deal for the two teams competing and everyone involved in their organizations, but this year one organization is making history. When the Los Angeles Rams take the field in Atlanta to compete against the New England Patriots, their cheerleaders will command some serious attention. 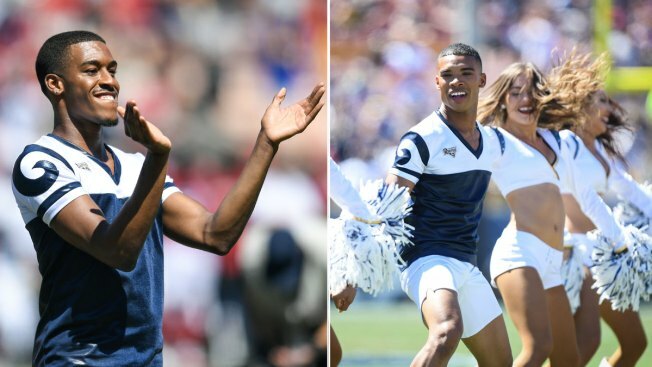 The Rams already made history by adding two male dancers to the squad for the 2018 season, and on Sunday, Quinton Peron and Napoleon Jinnies will be the first male cheerleaders to ever perform at a Super Bowl. Super Bowl LIII will be full of firsts, including that it's the first Super Bowl played at the new Mercedes-Benz Stadium and the first time in 17 years the Rams have been in the big game. Plus, this year's game will feature the oldest starting quarterback (Tom Brady for the Patriots) and youngest head coach (Sean McVay for the Rams) in Super Bowl history. And when Peron and Jinnies take the field with the 38 other cheerleaders in their squad, it will put a dent in the stigma that cheerleading is a female sport. Peron and Jinnies are two of the first three male cheerleaders in the NFL, who all made their debuts this year. The New Orleans Saints, who lost to the Rams in the NFC championship game, also welcomed one to their squads. So, what do we know about Peron and Jinnies? For starters, they are totally ready to represent for all the men out there who want to perform as a part of the NFL. "I think we can both say we have both been reached out to by so many men that are so excited to try out, and not just men our age but young men trying out for their junior high school dance team or cheer team and high schools, and it's exciting to see society change a little bit," Peron said on "Good Morning America" on Thursday. "We are extremely excited to see what is going to happen next year," Jinnies added. Even though there have been male stuntmen in the NFL before — including in the Super Bowl with the Baltimore Ravens, according to OutSports — and there are male cheerleaders at the collegiate level, this is the first season there have ever been male dancers on one of the NFL cheer squads and it's both a major accomplishment and breakthrough. Discover what these two game changers have done — on and off the field — to get to where they are below. Plus, check out both Peron and Jinnies during the 2019 Super Bowl, which airs at 6:30 p.m. ET/3:30 p.m. PT on CBS on Sunday, Feb. 3. 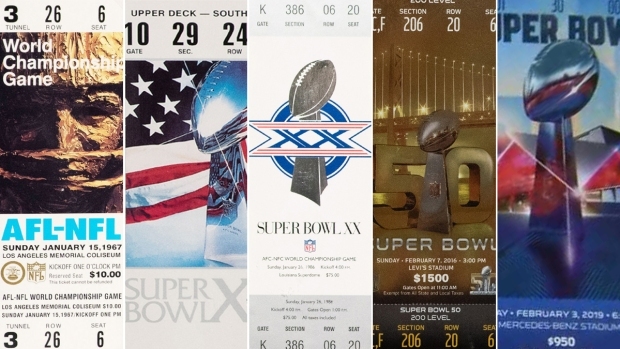 Take a look back at the history of the Los Angeles Rams and New England Patriots ahead of their Super Bowl LIII matchup. Napoleon Jinnies was born in Santa Barbara, California, and later attended Orange Coast College. He has also worked in California throughout his adult life. Well, maybe not, but he has been dancing for 12 years on teams including San Marcos Dance Team, Esperanza Song Team, West Coast School of the Arts, Pace Elite and more. In addition to frequenting Disneyland, Jinnies was a performer and played numerous characters at the Anaheim theme park over the years. He's been one of Andy's toy soldiers, appeared in the "Mickey and the Magical Map" show and "Mickey's Soundsational Parade" on Main Street. When he's not performing, Jinnies is a freelance makeup artist and beauty blogger. He does wedding makeup and his online tutorials are simple, informative and exactly what you want to know. "I felt like, this is the year. This moment in the world, it feels more accepted. If you have the talent and work hard, why not?" Jinnies told Fast Company about trying out this year. "If someone laughs at you, I mean, this is not 'Carrie: the Musical.' My skin is so thick." It might be the fact that he is in costume a lot as a dancer or the fact that he can do scary makeup better than most professional makeup artists, but when Halloween comes around Jinnies goes all out. Just look at some of his skeleton makeup here. The Rams cheerleader might be dancing on the sidelines for American football, but before he took the field he was on an even bigger American team...Team USA. He even won gold with the team. When asked to reveal his favorite food, Jinnies said, "Aaah SUSHI!" according to his Rams profile. 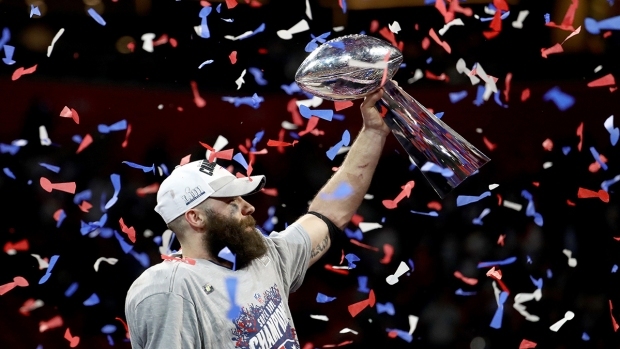 Can You Tackle Our Super Bowl Quiz? Quinton Peron is from Rancho Cucamonga, California, and went to college at Mount San Antonio College in Walnut, California, making him the perfect fit for the newly moved Rams team. In 2017, Peron was a staple at Disneyland. He performed as a part of the Christmas parade and "Mickey's Soundsational Parade" on Main Street. Peron doesn't only dance on the football field, he has been a professional dancer for years and been a part of the sport for 10 years, dancing in both high school and college. He was also part of the Aladdin cast at Laguna Playhouse in Laguna Beach. 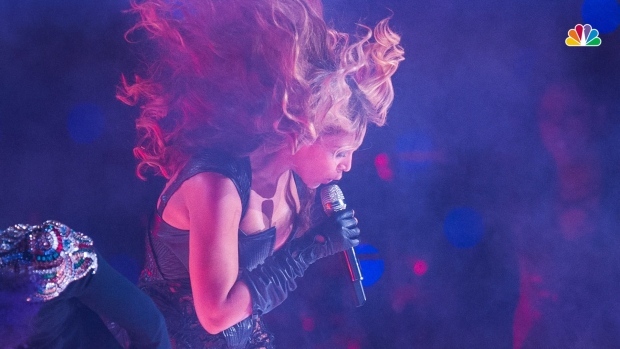 Each year, an artist brings their A-game to the Super Bowl halftime show. 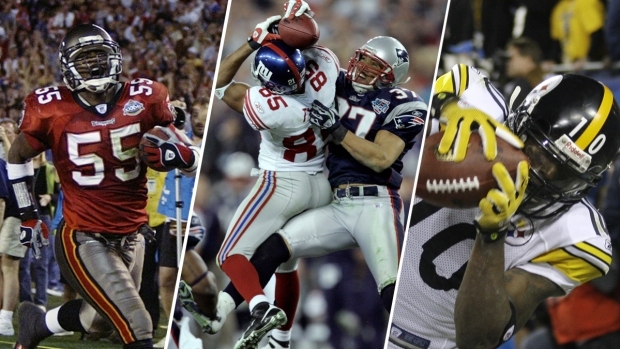 Here’s a look back at five of the most memorable performances. In 2014, Peron appeared as a part of the choir in Carrie Underwood's music video for "Something in the Water." When he's not dancing himself, Peron is creating routines for all sort of competitive teams as Mr. Q. He's been a guest choreographer for the USC Trojan Dance Force Dance Team and Santa Margarita Catholic High School Dance Team in addition to his continuing work with different age levels from dance studios in California. So, basically, he would be able to remember your crazy drink order with no problems. "Yeah, you get to put on the uniform, but for us this is just another stage," Peron told Fast Company about why he tried out for the Rams. "As a performer, you will do anything to get on another stage." According to Peron's LA Rams profile, he is all about getting In-N-Out and watching the Food Network.